This article is about the British role in the Seven Years' War. For other uses, see Seven Years' War. 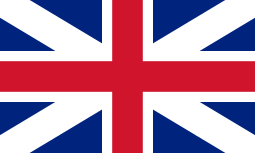 Great Britain was one of the major participants in the Seven Years' War which lasted between 1756 and 1763. Britain emerged from the war as the world's leading colonial power, having gained a number of new territories at the Treaty of Paris in 1763 and established itself as the world's pre-eminent naval power, so British global hegemony was the outcome of that struggle. The war started poorly for Britain, which suffered many deaths from the plague and scurvy, and at the hands of France in North America during 1754–55; and in the loss of Minorca in 1756. The same year Britain's major ally Austria switched sides and aligned itself with France; and Britain was hastily forced to conclude a new alliance with Frederick the Great's Prussia. For the next seven years these two nations were ranged against a growing number of enemy powers led by France. After a period of political instability, the rise of a government headed by the Duke of Newcastle and William Pitt provided Britain with firmer leadership, enabling it to consolidate and achieve its war aims. In 1759 Britain enjoyed an Annus Mirabilis with success over the French on the continent (Germany), in North America (capturing the capital of New France), and in India. In 1761 Britain also came into conflict with Spain. 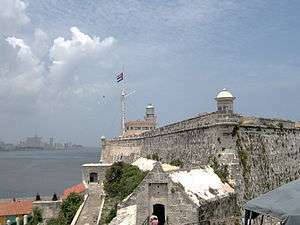 The following year British forces captured Havana and Manila, the western and eastern capitals of the Spanish Empire, and repulsed a Spanish invasion of Portugal. By this time the Pitt-Newcastle ministry had collapsed, Britain was short of credit and the generous peace terms offered by France and its allies were accepted. 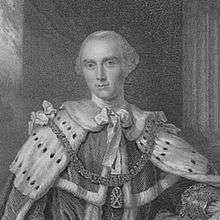 The Duke of Newcastle succeeded his brother as Prime Minister in 1754 and led Britain for much of the Seven Years' War. One of the major concerns for the British government of the era was colonial expansion. During the eighteenth century the British colonies in North America had become more populous and powerful - and were agitating to expand westwards into the American interior. The territory most prized by the new settlers was the Ohio Country, which was also claimed by France. As well as having economic potential, it was considered strategically key. French control of that territory would block British expansion westwards and eventually French territory would surround the British colonies, pinning them against the coast. A number of colonial delegations to London urged the government to take more decisive action in the Ohio dispute. The Ohio country located between Britain's Thirteen Colonies and France's New France saw France and Britain clash. In 1753 the French sent an expedition south from Montreal that began constructing forts in the upper reaches of the Ohio River. In 1754 the Province of Virginia sent the Virginia Regiment led by George Washington to the area to assist in the construction of a British fort at present-day Pittsburgh, Pennsylvania, but the larger French force had driven away a smaller British advance party and built Fort Duquesne. Washington and some native allies ambushed a company of French scouts at the Battle of Jumonville Glen in late May 1754. In the skirmish the French envoy Joseph Coulon de Villiers de Jumonville was left dead, leading to a diplomatic incident. 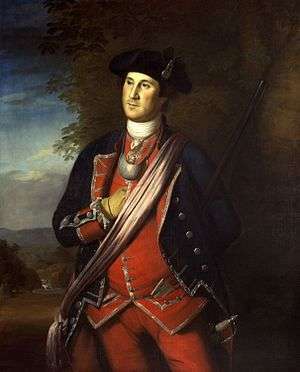 The French responded in force from Fort Duquesne, and in July Washington was forced to surrender at the Battle of Fort Necessity. Despite the conflict between them, the two nations were not yet formally at war. The government in Britain, realising that the existing forces of America were insufficient, drew up a plan to dispatch two battalions of Irish regular troops under General Edward Braddock and intended to massively increase the number of Provincial American forces. A number of expeditions were planned to give the British the upper hand in North America including a plan for New England troops to defeat Fort Beausejour and Fortress Louisbourg in Acadia, and others to act against Fort Niagara and Fort St. Frédéric from Albany, New York. 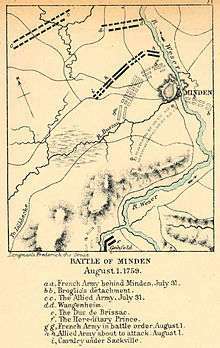 The largest operation was a plan for Braddock to dislodge the French from the Ohio Country. In the maritime theatre, the British were successful in the Battle of Fort Beausejour and in their campaign to remove the French military threat from Acadia. After the battle the British began the Great Expulsion called the Bay of Fundy Campaign (1755) by the British, with the intent of preventing Acadian support of the French supply lines to Louisbourg. The British forcibly relocated 12,000 French-speakers. Two additional expeditions from Albany each failed to reach their objectives, although one, William Johnson's expedition, did establish Fort William Henry and held off a French attempt on Fort Edward in the Battle of Lake George. Alarmed by the sudden switch in the European Balance of Power the British made a similar agreement with Prussia at the Westminster Convention. By doing this Newcastle hoped to rebalance the two sides in central Europe - and thereby make a war potentially mutually destructive to all. 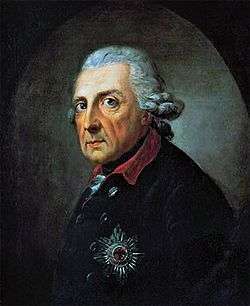 This he hoped would stop either Austria or Prussia making an attack on the other and would prevent an all-out war in Europe. This would allow Britain and France to continue their colonial skirmishes without formal war being declared in Europe. Frederick the Great had a number of supporters in London, including William Pitt who welcomed the rapprochement between Britain and Prussia. The Dutch Republic, a long-standing ally of Britain, declared its neutrality in the wake of the Westminster Convention and had no active participation in the coming conflict. As war in Europe appeared increasingly inevitable, the Newcastle government sought to take the initiative—and make sure that the strategic island of Minorca was secured before it fell into French hands. A relief expedition was dispatched under Admiral John Byng to save it. However, once he arrived in the Mediterranean Byng found a sizable French fleet and a 15,000-strong army besieging the fortress. After fighting an indecisive battle he withdrew to Gibraltar, and Minorca subsequently fell. Formal war was finally declared in May 1756, almost exactly two years after the two countries had first clashed in Ohio. Byng was recalled to Britain and court-martialled. There was violent public outrage about the loss of Minorca, mostly directed against Newcastle. He tried to deflect the blame by emphasising the alleged cowardice of Byng. After being tried by his peers, the admiral was eventually executed by firing squad for “not doing his utmost“. By that time Newcastle and his government had fallen. It was replaced by a weaker administration headed by the Duke of Devonshire and dominated by William Pitt. The major war in continental Europe that the British had hoped to avoid exploded in August 1756 when Frederick the Great attacked and overran the Austrian ally Saxony. Having occupied it he then launched a similarly bold invasion of Bohemia. In both cases the Prussians caught their Austrian enemies by surprise, and had used this advantage to full effect, capturing major objectives before Austrian troops had been fully mobilised. Having besieged Prague, an Austrian counter-attack and a defeat at the Battle of Kolin forced the Prussians back. When the war with France had commenced, Britain had initially brought Hessian and Hanoverian troops to defend Britain from a feared invasion scare. When the threat of this receded, the German soldiers were sent to defend Hanover along with a small contingent of British troops under Duke of Cumberland, the King's second son. The arrival of British troops on the continent was considered a rarity, as the country preferred to make war by using its naval forces. 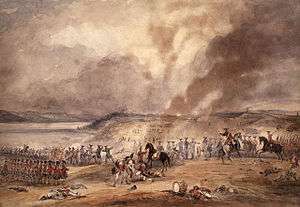 As with the Prussians, Cumberland's army was initially overwhelmed by the sheer scale of the French attacks. Following the disastrous Battle of Hastenbeck Cumberland was forced to sign the Convention of Klosterzeven by which Hanover would withdraw from the war - and large chunks of its territory would be occupied by the French for the duration of the conflict. Prussia was extremely alarmed by this development and lobbied hard for it to be reversed. In London too, there was shock at such a capitulation and Pitt recalled Cumberland to London where he was publicly rebuked by his father, the King, and forced to relinquish his commission. The terms of Klosterzeven were revoked, Hanover re-entered the war - and a new commander was selected to command the Allied Anglo-German forces. 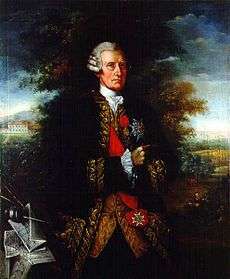 Ferdinand of Brunswick was a brother-in-law of Frederick the Great, and had developed a reputation as a competent officer. He set about trying to rally the German troops under his command, by emphasising the extent of the atrocities committed by the French troops who had occupied Hanover, and launched a counter-offensive in late 1757 driving the French back across the Rhine. In London the Pitt-dominated administration had fallen after just six months because of a lack of support in parliament. A period of political stalemate followed, with no real direction to the British war effort. It became apparent that the only way a serious war administration could be put together was by an alliance of leading figures. In 1757 a partnership was formed between the Duke of Newcastle and William Pitt - despite their years of enmity. 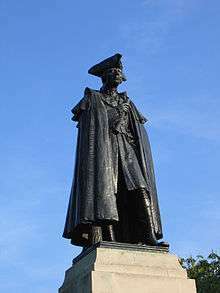 Newcastle became the head of the administration as Prime Minister, with control of public finances, while Pitt became Secretary of State and de facto war minister with control of much of British military strategy. Other leading figures such as Henry Fox and the Duke of Bedford were also given positions in the administration. After an urgent request from Brunswick, Pitt was able to put his plan into action, and in September 1757 a British raid was launched against Rochefort in Western France. For various reasons it was not a success, but Pitt was determined to press ahead with similar raids. Another British expedition was organised under Lord Sackville. A landing in St Malo was partially successful, but was cut short by the sudden appearance of French troops – and the force withdrew to Britain. Pitt organised a third major descent, under the command of Thomas Bligh. His raid on Cherbourg in August 1758 proved to be the most successful of the descents, as he burnt ships and munitions and destroyed the fortifications of the town. However, an attempt in September to do the same at St Malo ended with the Battle of St Cast and the British withdrawing with heavy casualties. This proved to be the last of the major landings attempted on the French coast – though the British later took control of the Belle Île off the coast of Brittany which was used as a base for marshalling troops and supplies. The raids were not financially successful and were described by Henry Fox as being "like breaking windows with guineas". From then on the British concentrated their efforts in Europe on Germany. 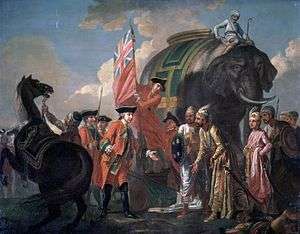 Robert Clive, 1st Baron Clive of Plassey, meeting with Mir Jafar after Plassey, by Francis Hayman. On 23 June 1757 the Nawab led a force of 50,000 into the field. Ranged against them was a much smaller Anglo-Indian force under the command of Robert Clive. The Nawab was weakened by the betrayal of Mir Jafar who had concluded a secret pact with the British before the battle - and refused to move his troops to support the Nawab. Faced with the superior firepower and discipline of the British troops – the Nawab's army was routed. After the battle Siraj ud-Daulah was overthrown and executed by his own officers, and Mir Jafar succeeded him as Nawab. He then concluded a peace treaty with the British. The French presence in India was led by the French East India Company operating out of its base at Pondicherry. Its forces were under the command of Joseph François Dupleix and Lally, a Jacobite. The veteran Dupleix had been in India a long time, and had established a key rapport with France's Indian allies. Lally was more newly arrived, and was seeking a swift victory over the British - and was less concerned about diplomatic sensibilities. After failing to make enough headway, and losing troops rapidly to disease, they were forced to abandon the attempt and move to the secondary target of the British expedition Guadeloupe. Facing a race against time before the hurricane season hit in July, a landing was forced and the town of Basse-Terre was shelled. They looked in severe danger when a large French fleet unexpectedly arrived under Bompart, but on 1 May the island's defenders finally surrendered and Bompart was unable to prevent the loss of Guadeloupe. Orders arrived from London concerning an assault on St Lucia but the commanders decided that such an attempt was unwise given the circumstances. Instead they moved to protect Antigua for any possible attack by Bompart, before the bulk of the force sailed for home in late July. The central plank of France's war against Britain in 1759 was a plan to invade Britain, authored by the French chief minister Duc Choiseul. It was subject to several changes, but the core was that more than 50,000 French troops would cross the English channel from Le Havre in flat-bottomed boats and land at Portsmouth on the British coast. 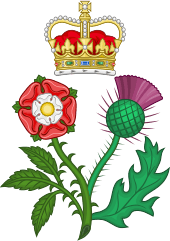 Aided by a Jacobite rebellion - they would then advance on London and force a peace agreement on the British, extracting various concessions and knocking them out of the war. The British became aware through their agents of the scheme and drew up a plan to mobilise their forces in case of the invasion. In an effort to set back the invasion, a British raid was launched against Le Havre which destroyed numerous flat-boats and supplies. In spite of this, the plans continued to progress and by autumn the French were poised to launch their invasion. 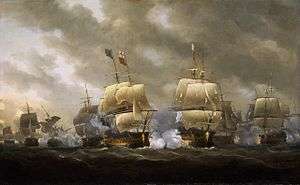 By 1759 the Royal Navy had expanded to 71,000 personnel and 275 ships in commission, with another 82 under ordinance. During the war the British had instituted a new system of blockade, by which they penned in the main French fleets at anchor in Brest and Toulon. The British were able to keep an almost constant force poised outside French harbours. The French inability to counter this had led to a collapse in morale amongst French seamen and the wider population. Following the failure of the British to take Louisbourg in 1757, a second attempt was planned in 1758 and command given to General Jeffrey Amherst. Although Louisbourg did not control entry to the St Lawrence River, it could not simply be bypassed, and the British decided it must be taken before they could proceed further. After a 44-day siege, the city finally capitulated. One of the figures who benefited most from the campaign was a young British brigadier, James Wolfe, who so impressed Pitt that he was promoted and given command of future expeditions in Canada. Despite their victory at Louisbourg, the British decided to wait for the spring before heading further up the St Lawrence. In the meantime the river was extensively charted by a naval officer, James Cook, later to become famous as an explorer. Despatches carrying news of the victory sparked euphoria in Britain, and were celebrated by numerous bonfires. 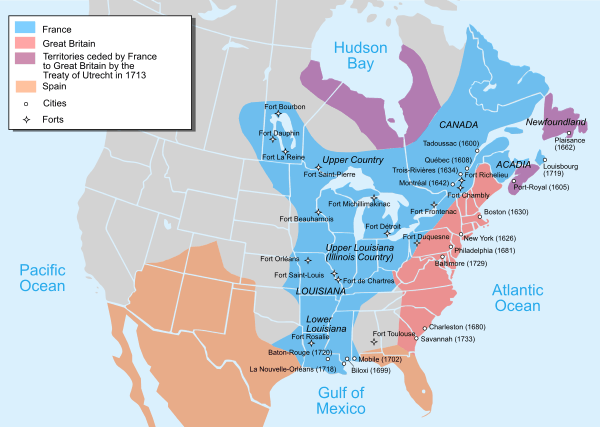 The key to British strategy in North America involved taking Quebec City - the capital and largest city of New France. This was to be achieved by the deployment of a massive force up the St Lawrence River. Simultaneously an Anglo-American force would march from New York to capture Fort Carillon and possibly Fort Niagara as well. While many, particularly Pitt and the American inhabitants, hoped that Canada could be annexed, others saw it as a bargaining chip to offset potential British losses in Europe. By the time the French realised the scale of the British intentions in Canada, it was too late to send assistance to Quebec. The French government hoped that Louis-Joseph de Montcalm, New France's military commander, would be able to resist for the next year, after which they would send troops to his aid. The arrival of British ships and reinforcements ended the French offensive and forced them to retreat in the direction of Montreal. The British pursued, capturing parts of the city on 1 September 1760 after encountering only light resistance. The last French army under Lévis was finally forced to surrender on 6 September 1760 when a second British army under Amherst arrived from the south following the Battle of the Thousand Islands, and an attempt at French reinforcement was stopped in the naval Battle of the Restigouche. Following the British victory at Madras, their forces took the offensive. A force under Francis Forde capturing the port of Masulipatam. Although he still had significant forces in India the French commander Lally had expected greater support from his own navy, but he was constantly frustrated by the cautious D'Ache. Fresh British reinforcements arrived, tilting the balance in their favour. The failure of the French navy to secure command of the sea opened their own territory to capture. Pondicherry's capture proved to be a decisive moment in the long-term battle for control in India. After this point French India was confined only to a handful of trading posts stretched along the coast, while Britain moved into the interior extending their control by alliances and conquest eventually creating the British Raj. By the end of 1761, the French were fearful that the British forces in India were preparing to strike at the island of Mauritius, and made no effort to reverse their losses in India. Despite taking Guadeloupe in 1759, the British attempt to occupy Martinique that year had ended in failure. In 1761 a fresh scheme to attack the French West Indies was drawn up and Martinque was successfully taken by a British force in February 1762. This was followed up by the capture of the islands of Saint Lucia, Grenada and Saint Vincent. In each case many of the local planters and merchants welcomed the invasion, as it ended Britain's naval blockade and restored their access to international trade. Britain held a dominant position at the negotiations, as they had during the last seven years seized Canada, Guadeloupe, Martinique, Dominica, Pondicherry, Senegal, and Belle Île from the French and Havana and Manila from the Spanish. Only one British territory, Minorca, was in enemy hands. Despite suffering a year of defeats, Spain was prepared to fight on—something which their French allies were opposed to. Bute proposed a suggestion that France cede her remaining North American territory of Louisiana to Spain to compensate Madrid for its losses during the war. This formula was acceptable to the Spanish government, and allowed Britain and France to negotiate with more legroom. ↑ "European Hegemony". Angelfire.com. Retrieved 2014-05-13. Gipson, Lawrence H. The Great War for the Empire: The Years of Defeat, 1754-1757 (1948); The Great War for the Empire: The Victorious Years, 1758-1760 (1950) highly detailed narrative of the British war in North America and Europe.